SEO, or Search Engine Optimisation, is the managing of a web presence to ensure it performs favourably on search engines like Google and Yahoo. This performance is achieved through a series of methods that I’ll go through in this blog. After reading this you should be able to go away and optimise your blog or website for search. So, lets get started! 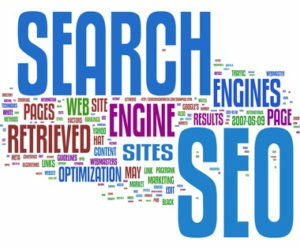 The purpose of SEO really is to help people who’re looking for a specific thing to find it. To make sure that thing (in this case, your website) is found, you have to match the content of your site to the words they’re using to search for you. That’s simple enough, but where a lot of people fall short is their target market. • The Search Question – Google works to provide itself and you with the context of a question. • The Location of The Questioner – Local businesses often get boosted up the search results if someone near to them searches for a service they provide. • Who Wrote The Content – Google favours great content writers over unproven ones. The Google Authorship program gives a special designation to ‘verified’ authors and pushes them up the rankings. • The Friends of The Searcher – ‘Social Search’ is increasingly a thing for Google. If you’re logged into your google+ account then it is more likely to suggest content that your friends have interacted with in the past/writte themselves. • The Popularity of Content – If a certain blog post or website has been shared more than others talking about the same thing, then Google will be sure to push it up the ratings, regardless of the prior success of the website on which it’s written. Say you make a website to sell a product of yours on it. You’ve read up a little on SEO so you know that you need to have some keywords for your product if you want to attract shoppers. Lets say you make wooden furniture. You blog regularly about the types of wood that you like to work with and the tools that you think are best. As a result, you climb the search rankings and start getting a lot of visitors. Unfortunately, those visitors are all fellow carpenters. Far more interested in your materials than they are in your furniture. This is an example of mis-targeting your SEO. What you should have been blogging about was other furniture that you like, and who’s influencing your design. By doing this, you attract those interested in furniture, and therefore much more likely to buy your product. You can extend this metaphor to pretty much any web presence. Whether you’re selling something or trying to get the word out about something, it’s important that you think about who it is you want to come to your website and tune your SEO to that. Not all search terms are created equal. To find the ones that will have the greatest impact on your search results you need to discover several things. Firstly, which keywords are used a lot? The more people that use a keyword, the more useful it is to you. Secondly, which keywords lead people to the fewest sites? This feels slightly counter intuitive. If you’re looking for keywords that are popular then surely everyone else is using them as well. You want to thread the needle, finding a term that’s popular, but not so popular that you get lost in the noise and competition. Just as you have to find a balance between hugely popular and more targeted keywords, it’s advisable to use lower traffic keywords alongside high-traffic keywords. Less popular keywords are called ‘The Long Tail’, and should actually make up most of your traffic. This is because you’re not competing so hard with other websites for those keywords, and therefore rise higher up the rankings. Search engines use bots to ‘crawl’ your website to find out what the content is about and then deciding what keywords each of the pages matches up with. By strategically optimising your content, you can influence the decisions of these bots, resulting in better SEO. DO NOT however, write entirely for search engines. Over optimised content can be spotted a mile away, not just by bots but by your readers as well. Optimised content is often very soulless and boring to read, so make sure to strike a balance between good SEO and a good read. Keywords don’t just exist within the content you produce for your website. You should think about everything from the title of your domain, to the metadata of the website itself. The search bots crawl everything, so the more everything relates back to your chosen keywords, the better your search results are going to be. There are plenty of people writing well on thousands of topics all across the internet, but the websites that rise to the top of the search engines are the ones getting linked to. Links to any content you write is one of the key ways that Google and other search engines rate the apparent worth of a website. If hundreds of sites are linking to a post you made or mentioning you on social media then Google’s going to take. As a result, they’ll push your work up the rankings because it’s perceived as authoritative. You should also be linking to websites other than your own, by doing this you’re moving your website out of a vacuum and engaging with other sites. This not only helps you network, but also gives Google hints about the kinds of things you’re writing about by cross referencing your content with that of the websites you’re linking to. DO NOT buy links, this will get you banned from a search engine if you’re caught. • Social media. Sites like Twitter and Reddit can drive a huge amount of people to your site. • Directories. These are all over the web, make sure to submit your site to ones that compliment your content and you should see an increase in visits. • Links from a top 100 site. If you can get a link to your site on a site high in Google’s rankings, then this should influence your own site’s influence. • Dead Links. This is a great tip from Kissmetrics that I haven’t heard anywhere else. If you notice that a link to a website is dead and you’ve got a similar article, email the website that it belongs to and suggest your own as a replacement. This is just scraping the surface of SEO, there are plenty of in depth articles that can develop your understanding. I’d recommend the fantastic Beginners Guide to SEO from Moz.com as a starting point. The main thing is not to be intimidated. Whilst it can take a very long time to develop a great understanding of the nuances of SEO, the basics can be learnt relatively quickly. From there it’s just a case of tweaking your content, and staying up to date with developments.